Hide.me, established in 2012, is a Malaysia based VPN service provider that has been able to built up a team of IT and security experts from around the world, and that has already emerged as one of the best logless VPN service providers in the market today, offering users high quality online security and privacy, as well as a virtual means of accessing blocked, censored or otherwise restricted online content. hide.me is one of the best no log VPN service providers in the industry, committed to develop applications and services that provides an open access of the internet, as well as protect users’ online privacy. With VPN-servers in 24 Countries, self-owned and maintained, hide.me offers a comprehensive reach to its users and empowers them to access blocked and restricted content on the internet. hide.me provides with easy-to-install VPN client software or apps for Windows, Mac, Android and iOS with best-in-class Internet security and privacy for anonymous surfing. They continue to grow its customer base and service offerings as an ever-greater number of internet users are adopting the use of VPN. In this Hide.me VPN review, I prefer to discussed about its pricing plan with features first. They offer three different VPN service plans: Free Plan, Premium Plan, and Plus Plan. Undoubtedly if you want the best experience, then you are surely recommend to test their Premium package as it allows the best features for its clients. Let’s have a look at their pricing plan. Their ‘Free plan’ is limited in some aspects like server locations, network speed, using bandwidth and data transfer etc as you see below, but it may be, to a extent, useful for testing the service. But you should understand that free plan comes with some limitations. For those that pay for 1 year in advance, Hide.me offers discounts of up to 45% for them. Hide.me accepts Visa/Master Card, American Express, Paypal, Sofort, CashU, Bitcoin, GiroPay, Electronic Cash for its clients to pay for their service. This company currently has 29 VPN servers located in 22 countries across the globe to accommodate their users. While they do have servers with satisfactorily excellent speeds. They handpick servers that live up to their high standards of security and privacy. These are perfectly access controlled, and they are the only ones that operate them — no one else. They do not permanently store IP addresses, nor do they store logs. Each server supports all popular protocols, including: PPTP, L2TP, IPsec (IKEv1 and IKEv2), OpenVPN, SoftEther and SSTP. With the very best server locations and low ping times, the Internet is yours for the taking — wherever you might be. Hide,me has installed their 29 VPN-servers across different locations in Brazil, Canada, Mexico, United States of America (California, D.C., Florida, Utah, Washington), Austria, France, Germany, Iceland, Italy, Lithuania, Luxembourg, Netherlands, Norway, Poland, Romania, Sweden, Switzerland, Turkey, United Kingdom, Australia, Hong Kong, India, Japan, Morocco and Singapore. In this Hide.me VPN review, I’ll depict an overview of the security and privacy level of their VPN client software in detail. 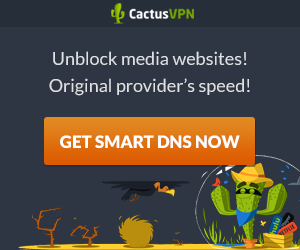 Their powerful VPN software is built by their experts to establish a secured and encrypted VPN connection between your computer and their quality VPN servers. All in-and outgoing connections is anonymized and no third-party can see your real IP address. For ensuriing utmost online privacy and security in any situation, hide.me offers the latest protocols, ensuring up to AES-256 encryption, for use with your PC, Mac, mobile device, games console and home router to make sure that you’re safe and sound on any Internet network. IKEv2: IKEv2 is Available for Windows and Linux, IKEv2 supports AES-128 and AES-256 respectively. IKEv2 is an industry standard protocol, using the most advanced VPN tunneling technology. It’s resistant to short-term loss of network connectivity, and works over UDP to bypass firewalls and minimize problems. IKEv2 is relatively easy to set up, and is the best protocol to choose overall. It’s perfect for home users behind NAT devices, too! IKEv1: supports up to AES-256. To leverage IKEv1, hide.me recommends using Shrew Soft VPN Client, an excellent and a free Windows/Linux IKEv1 client software. It boasts relatively the same amount of security as IKEv2, but does miss some advanced features such as NAT-Traversal, Remote access and IP mobility in the standard specification. IKEv1 offers good support and reliability for legacy vendors, and is resistant to short-term loss of network connectivity—similar to IKEv2. SSTP: Secure Socket Tunneling Protocol is a tunneling protocol available on the Microsoft platform. The protocol is based on a combination of two technologies, SSL and TCP. The SSL technology guarantees the transport level security and integrity of the traffic. The SSL is, on our servers, configured in such a way that only the strongest method of encryption is enabled. Since a SSTP session is, in fact, a HTTPS session, SSTP may be used to bypass firewalls or ISP throttling. On the other hand, since SSTP is operating over TCP, it will in some cases underperform IKEv2 or other UDP based protocols. Overall, SSTP is a great choice and may help in resolving connectivity or speed issues you may have. OpenVPN: OpenVPN supports up to AES-256 encryption for Mac, Windows, iOS, Linux and Android. It has no known weaknesses. OpenVPN authenticates data on both ends through digital certificates, or through certificates with a username and password pair. It is proven to be reliable on all kinds of connections, such as WLAN, wired and mobile. It’s incredibly easy to set up, and is a good choice for desktop users. PPTP: PPTP is available for Mac, Windows, Linux, iOS, Android, DD-WRT, and others — but does not supports AES encryption. Instead, PPTP uses Microsoft Point-to-Point Encryption, which has severe security weaknesses. This weaker encryption method makes it a fast performer. Problems may arise when some home routers or ISP do not allow Generic-Routing-Encapsulation (GRE) tunneling. Overall it’s easy to set up, widely supported and is a great choice to bypass geo-restrictions. L2TP/Ipsec: Available for Mac, Windows, Linux and iOS, L2TP/IPsec supports up to AES-128 combined with Microsoft Point-to-Point encryption. Due to the leverage of both, it is noted as highly secure. It is dependable and reliable, if your NAT device supports IPsec passthrough properly. It usually needs some custom configuration to set up. L2TP/IPsec is more secure than PPTP, but is not as fast, therefore it’s a good choice for those that value security over speed. SoftEther VPN: SoftEther VPN is one of the most powerful, open source, multi-protocol VPN software solutions available for Windows, Mac, Linux, Free BSD and Solaris. SoftEther’s state of the art SSL-VPN protocol penetrates firewalls by tunneling the VPN traffic over HTTPS (similar to SSTP), or over UDP for increased speed (similar to IPSec). VPN tunnel’s security is guaranteed by the use of the strongest cryptographic algorithms. Automatic reconnects, multiple simultaneous connections and a wide variety of tunneling methods can keep the VPN connection stable and fast at all times. SoftEther VPN protocol successfully combines the strengths of both, IPsec and OpenVPN protocols, to deliver an excellent VPN solution. The only drawback, at this time, is the lack of GUI clients for platforms other than Windows. I have performed multiple tests to know about much capable Hide.me is of hiding my real IP address assigned by my local ISP and found it supremely OK. Below I have, for example, shown an image of a test result performed at renowned IP tracker website whatismyipaddress.com (I used OpenVPN protocol). The below image shows a Netherlands IP address 95.211.171.172 which was perfectly altered by Hide.me and my real IP address assigned to my local ISP is absolutely invisible there. I firmly believe no third party will ever be able to identify your real IP address while being connected with their VPN tunnel. Automatic Fallback feature in new Windows VPN app automatically connects to other secure VPN protocols in case of a failure of one protocol (Failure to connect to one protocol is mostly because that protocol is blocked by a firewall). Instead of going through the hassle of trying different protocol and connecting again and again, hide.me users will now automatically connect with the most suitable and secure protocol automatically. To avoid IP leak, they have designed VPN App in such a way that their application deletes the default gateway of your Internet Connection and your internet connection will never be diverted to a third party gateway and your IP will be securely protected and hidden. In such an instance you enforce the VPN usage adding another layer of security making IP leaks impossible and that’s not it. The app also blocks outgoing IPv6 connections automatically to prevent IP leaks. It won’t affect your overall Internet connectivity if your ISP assigns you an IPv6 address. Kill-switch is an innovative feature to ensure data privacy and security of all users by disabling all internet activities when the VPN disconnects. To ensure complete protection, Hide.me added this ‘Kill Switch’ feature in their VPN software that disconnects all your internet activities if the VPN connection drops. It means when kill-switch is enabled and the connection interrupts, the client software automatically blocks all outgoing network connections. This is an optional feature so you can switch it on if you feel the need. To show you about what happened when I intentionally plugged my modem out from my laptop to be disconnected from my local internet connection while Hide.me VPN had been being still connected, I give you an image of the pop-up instantly provided by Hide.me VPN software. Note: In some cases, DNS requests might not go through the VPN connection because of your router’s default configuration but their vpn software takes care that no DNS leaks can happen during an active VPN connection. You just write these following Public DNSs as shown in the below image and click ‘Ok’, then it’ll set a public DNS to the main network interface so all DNS requests originating from your computer are routed through hide.me VPN network. And you’ll be perfectly protected from DNS leaking. In this case just configure the advanced setting option as shown in image below and all are OK. So, does Hide.me VPN client software have the capability to protect your local IP address from being leaked through WebRTC? Don’t need to waste your time testing the fastest available server, their Auto-Server Selection feature will automatically connect you to the fastest available server. It is also optional, so you can switch it on or off according to your need. The download and upload speeds of Hid,me VPN have been tested and the speeds were found truly fast. In both Plus and Premium Plans, the speeds have been satisfactory to all OS and devices. Speed tests have been tried out with Windows and Mac OS, tablet and Android, as well as iPhone. There also is a Hide,me free proxy offered by the company, that’s fast too. Note that Its impressive speed does not cover their Free Plan, rather it has some limitations in speed and bandwidth. In this case, the speed generally depends upon how their premium customers do with the servers at the time. If there is overcrowding and heavy traffic in servers, you can expect substantially slow speed to the Free Plan. Because they give good priority to their premium customer first. If you are not completely satisfied with Hide.me’s VPN services, and you notify them in writing via email within the first 14 days of your contract that you wish to cancel, you will be given a 100% refund of the contract amount in case the bandwidth usage in not more than 500MB. If a refund is due, you will be notified by e-mail; it can take up to 10 days after cancellation of your contract to receive your refund depending on payment form used. According to my personal observation, Hide.me VPN service seems pretty professional when it comes to customer care and support. They have got 24/7 live chat for instant feedback, and there is also a contact form. Detailed setup guides for all devices and OS also help you out throughout the installation process and aid you with the Hide.me VPN download. You can also join their community and learn more at the forums or the Hide.me blog. Apart from everything else, there is a FAQ section with enlightening details. Last but not least, they are pretty active on social media with accounts on Facebook, Twitter, and Google+. As a whole, Hide.me offers 24/7 support via Live Chat, Emails, Tickets & Community. They also provide knowledge-bage section named as FAQ (Frequently Asked Questions) for their clients.